This past week has been a busy one for Star Wars reporters, as numerous press releases have been announced by Lucasfilm in the last seven days concerning Star Wars: Celebration Europe 2016 & Star Wars gaming. As far as Star Wars gaming goes, it has been the E3 Conference - an annual video game conference hosted in LA - that has got Star Wars fans talking. Star Wars: Battlefront - DICE stated their intention to "bring in more characters, more planets and more environments from across the Star Wars Saga." Star Wars: Galaxy of Heroes - Capital Games and John Salera (E.P., Star Wars: Galaxy of Heroes) aim to "bring characters from all the films, all the TV shows and even beyond"
Star Wars: The Old Republic - Bioware and James Ohlen (Director of Design, Old Republic) wish to tell "stories beyond the Old Republic"
This article will provide a brief overview of what was actually divulged to us, before coming to a personal conclusion about the degree to which we truly 'learnt' something tangible about the future of Star Wars gaming. 'Star Wars: Battlefront' (2015) remains one of the most popular games of the Star Wars gaming franchise and E3 provided some insight into further developments to the relaunched game. The major E3 'Battlefront' announcement concentrated on the new 'Bespin' DLC map pack, which will be made accessible to the public on July 5 2016. Season Pass holders however, will be able to get their hands on this downloadable content as early as next week: June 21 2016. The Bespin expansion pack appears to be extremely reminiscent of the popular Original Trilogy location used in the original Star Wars Battlefront II. It is undeniable that the graphics look far more colourful and enhanced in 2016 when compared with the 2005 version. However, based on the clips seen in the trailer, the 'Bespin' design concept doesn't seem to differ between the two games. The DLC pack contains new maps, new weapons, a new mode and new characters. Gamers will now be able to play as the smooth-talking Lando Calrissian, voiced by Billy Dee Williams himself, and the ruthless bounty hunter, Dengar. The DLC pack looks pretty awesome, but did we really get any information about other, perhaps more intriguing, future 'Battlefront' projects. We know that there is a Death Star DLC pack in the works (for Fall 2016), a new DLC pack slated for 2017 and the small matter of a 'Battlefront' sequel in 2017. Of course we should be excited about the Bespin DLC pack, but I believe that the announcement was embellished and presented as something tangible, when in reality there was little 'substance' to the new information we received. We were told diddly squat about other future 'Battlefront' projects. "In the Niima Outpost demo, players can experience new features coming to LEGO Star Wars: The Force Awakens, including taking on stormtroopers in intense Blaster Battles, utilizing Multi-Builds to explore the wreckage of Imperial Star Destroyers, and piloting the Millennium Falcon in dogfights against First Order TIE fighters." I found this announcement to be very exciting because I believe that Lucasfilm had managed to get the right balance of launching a thoroughly entertaining, cinematic-type trailer for the Lego game, whilst also disclosing official gameplay from the game itself. Of course, the advantage for Lego Star Wars was the timing of the E3 convention. The game is set for release in less than two weeks and E3 is a perfect forum to market the new Lego game - a gaming franchise which has grown increasingly popular over the last few years. Overall however, the advent of the demo, plus a new trailer release, meant that whilst we learnt nothing 'new' per say, fans were given new content which would cater to the interest of fans (which I believe Battlefront lacked). The other major announcement of note centred around the reveal of 'new' Star Wars gaming projects in the 'A Look Ahead' Star Wars trailer. The two projects publicised in the trailer, which have received the most interest, have been the projects which are currently being undertaken by Respawn and Visceral. No actual footage was released by Respawn, instead we managed to see two actors fighting with lightsabers whilst wearing motion capture suits. Little information was divulged about the Respawn game, other than the fact it will be set in a "different Star Wars era". The location in the video looks to be Tatooine, but of course this remains unconfirmed by Lucasfilm. Could this be Tatooine post-A New Hope? We shall have to wait and see, but my expectations for this game are higher than any other project that has been publicly disclosed to us at E3. The early signs for the Visceral and Respawn game are very promising indeed and it is great to see Lucasfilm and Disney are intent on creating innovative Star Wars games. So, what in fact did we learn from this year's E3 convention about the 'future' of Star Wars gaming? Depending on your interpretation of 'learnt' and 'future' will determine your response to this question. I would argue that we perhaps didn't learn as much as we would have liked at the E3 2016 conference, when one considers the amount of content and gaming projects Lucasfilm are working on at the moment. Yes we were provided some thrilling trailers and the release of a game demo, but I feel that Lucasfilm have been purposefully coy about revealing anything 'major' at the 2016 E3 convention. Why has this been the case? I believe that the main reasons are related to both timing and readiness. In a way, the E3 Convention has come a bad time for some Star Wars gaming projects because of scheduled release dates and an upcoming Star Wars convention. 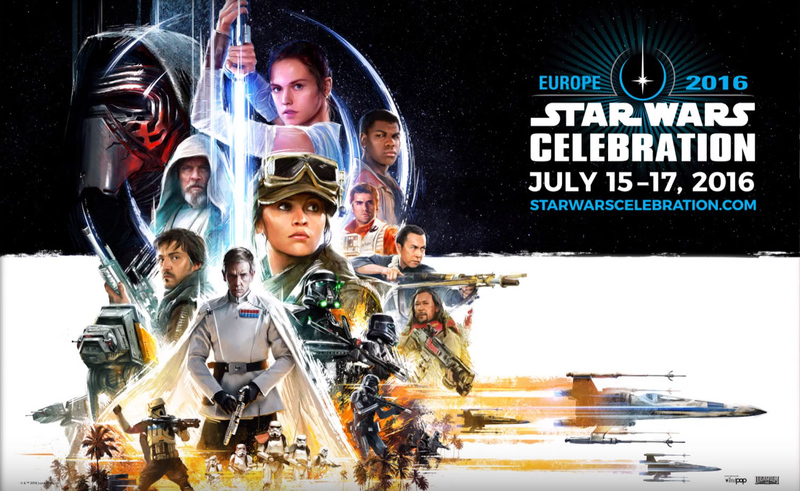 Star Wars: Celebration is set to kick off in less than a month's time and Lucasfilm have made it clear that 'gaming' will be a big presence at Celebration London. In addition, the newest installment of the Lego Star Wars franchise is set for release in less than a fortnight and so Lucasfilm would want to focus their marketing efforts on that game rather than Battlefront and other Star Wars games. Finally, many of these projects have release dates slated for 2017 and this means that production of these games is still at a relatively early stage. EA and Lucasfilm will not want to release any footage that isn't as aesthetically easy on the eye as it could be. All in all, I will have to end on a quotation made by Dominic Jones in his own opinion piece on the E3 'A Look Ahead' trailer. "There is lots of talk about an exciting future but E3 never showed anything of substance"
I feel Dominic's quotation supports the points I have made in this opinion article. We were given some content to whet our appetite with, but not enough to make us feel fully satisfied with the content that we consumed. The question is how many of these projected games will become more vaporware?